“White Collar” is about the unlikely partnership between a con artist and an FBI agent who have been playing cat and mouse for years. Neal Caffrey (Matt Bomer), a charming criminal mastermind, is finally caught by his nemesis, FBI Agent Peter Burke (Tim DeKay). When Neal escapes from a maximum-security prison to find his lost love, Peter nabs him once again. Rather than returning to jail, Neal suggests an alternate plan: He’ll provide his criminal expertise to help the Feds catch other notorious and elusive criminals in exchange for his freedom. Initially wary, Peter quickly finds that Neal provides insight and intuition that can’t be found on the right side of the law. 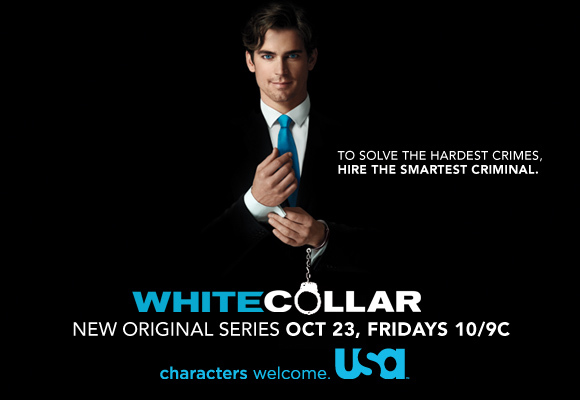 “White Collar” New Original Series Premieres October 23, Fridays 10/9c on USA Network. Having the opportunity to talk with Guest of Honour Mike Carey, writer of comics, novels and films. I read the first of his Felix Castor novels a few weeks ago — highly recommended. Meeting up with Dave Lally, rightfully honoured as a guest of honour — though it was weird being at a con where he wasn’t running the video room. Stranger still that he turns sixty this year — surely not? John Vaughan — writer, director, and possibly not quite human — was behind the Video Vault of Horror, which this year was a presentation of that 1978 classic Starcrash featuring Caroline Monroe, David Hasselhoff and Christopher Plummer. It’s one of those great Italian-produced SF movies with bad script, bad acting, bad sets, bad special effects, bad costumes, and bad hair. And a John Barry soundtrack. If you ever get chance to see it, then do — but don’t pay money for the privilege. John Vaughan was first up on Sunday morning, placing Jean Luc Picard on trial — a treat for conspiracy theorists. You didn’t know the captain was the villain of the whole Next Generation / Deep Space 9 arcs did you? With impeccable logic (?) John proved that he was in fact… well, you had to be there. John Vaughan — yes him again — was also the mastermind behind the new Golden Blasters award, which celebrate and recognise the achievements being made in short films in our genre. SF-Fantasy-Horror films are often overlooked by other film awards, so this is a fantastic idea. John presented some of the best short films from around the world from the last couple of years. The judges award (the Silver Blaster) went to the Hungarian film Elobb Utobb (Sooner Or Later), written and directed by Istvan Madarasz, and the audience vote (the Golden Blaster) went to the Irish film The Silent City, directed by Ruairí Robinson. I saw all of the films and took part in the audience voting — all of the films were great, and it was really tough choosing between them. Keep an eye open for further news about the Golden Blasters, because next year the competition will be open to new films from across the world, and there’ll be a short screenplay competition too. In the meantime, you can check out John Vaughan’s most recent short film My Dad and excerpts from his film Valour. 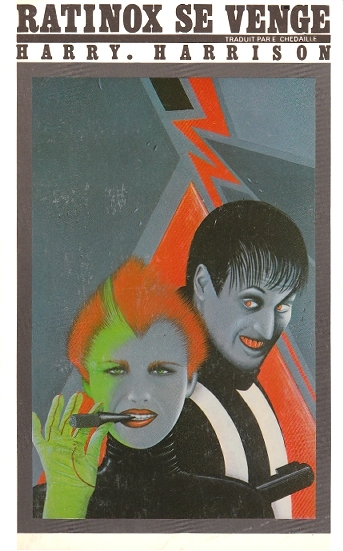 I couldn’t locate any video of his lovely creepy film The Boogieman. Here is the ‘How to’ guide Harry and I put together for a workshop which was conducted at the ALTfiction event in Derby in April 2007. A few days ago I posted the cover from the French version of The Stainless Steel Rat, Ratinox. The publisher, J.-C. Lattes followed that with a translation of The Stainless Steel Rat’s Revenge, Ratinox se Venge. Again, the cover art appears to be credited to Keleck. Octocon, the Irish National Science Fiction convention, will begin on Saturday morning — there’s lots of cool stuff going on, but this is a HH blog, so we’ll concentrate on what Harry will be doing this weekend. The official programme of events hasn’t been released yet but… Harry will, I believe, be taking part in three panels during the course of the weekend: a discussion about collaboration with other authors; a question and answer session; and a session which I think we’re giving the modest title of ‘How to Write a Science Fiction Bestseller’! This will be a discussion of the creation of a major SF work, with some in-depth insights into the writing of the West of Eden trilogy, including such topics as creating an alien race, language and culture, creating an alien world, and getting from orginal idea to final plot. All in the space of an hour. I’m flying out to Dublin tomorrow at ridiculously-early o’clock, back in the UK late Monday, and will post a full report when I get back. 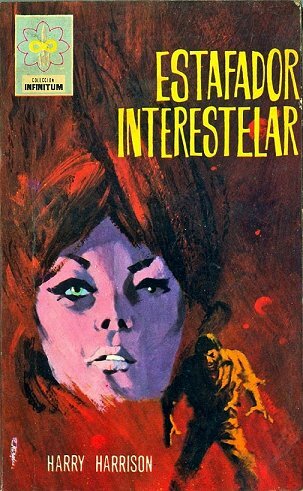 This one is from the first Spanish edition of The Stainless Steel Rat, published by Editorial Ferma in 1967. There’s no artist credit for this one, as far as I remember — if you know who the artist is, please leave a comment. 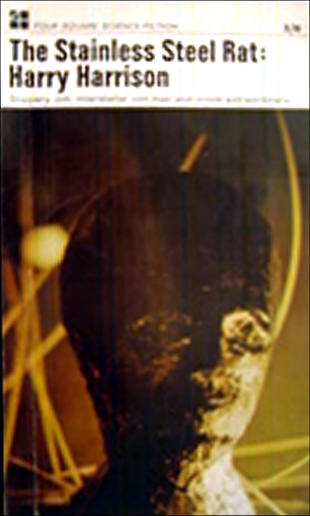 This is probably the scariest cover for The Stainless Steel Rat we’ve seen to date — is that a mummified corpse on the cover? The photograph is credited to Bob Wright.